Long overdue, but Congratulations to Chuunin Ninja & the Miami Dolphins for winning the Super Bowl in Season 5 of TSG Madden 12 OF. He has won the 2nd of Madden 12 (with 2 different teams) and his 6th in TSG History. The MVP for the Super Bowl was Cobie Ross, outstanding running back out of TCU. For his prize Ninja has won a LumiSource Stingray Gaming Boom Chair! Check out his championship banner below which will soon be added to the Wall Of Champions section in the next few days! Congratulations to Coach Chubbzz0727 on his Super Bowl III win in TSG Madden 12 OF, his 2nd Super Bowl win in TSG history. Lead by his league leading, league MVP player offensive juggurnaut CJ2K aka Chris Johnson. For winning Chubbzz will receive 1600 Microsoft Points & a personalized Tennessee Titans football. Also congrats too his opponent in Super Bowl III, Capt Save A OHH for making his 2nd Super Bowl in Madden 12 but still missing out on that elusive first win. Madden NFL 12 released in a fairly good state – at least compared to sister product NCAA Football 12. While it certainly had areas in which improvement could be provided through a patch there were no broken features or completely pressing issues that demanded attention. Instead the patch could be used to enhance certain aspects of the game and fix various annoyances. Areas most discussed in regards for the upcoming patch included the constant rain in Franchise mode affecting a few teams, lack of a battle for the ball between the WR and DBs, punt and kick return blocking, QB sneak effectiveness against non-goal line defense, custom playbook organization, scouting in Franchise mode, and the long shot of the bunch – commentary. 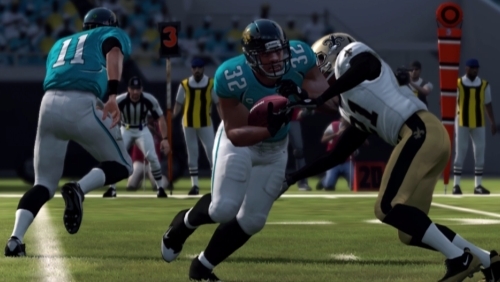 Today EA Sports released full details on what to expect in the first comprehensive patch for Madden NFL 12. Some of these things have been worked on (rain, QB sneak, custom playboooks, commentary) while others been inexplicably left alone (punt/kick return blocking, DBs inability to play the ball, no additional scouting). Commentary is actually mentioned though I would caution that the overall audio quality and level matching along with variety of lines probably won’t be much if at all improved and instead expect it to be primarily fixes for some of the incorrect calls (and maybe the referring to some players as numbers rather than their names) frequently being made by the duo. 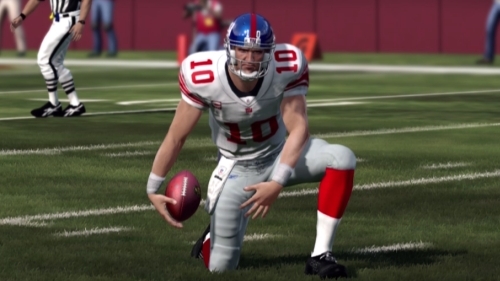 One aspect of the latest Madden NFL 12 roster update that I didn’t address earlier was the removal of the ‘clutch’ trait from Eli Manning. Having already broken down the 36 players in the NFL who originally received the trait – which provides a ratings boost during in-game pressure situations – Manning stood out as one of the most questionable. Still it was surprising to see the change made after just a single outing. According to Donny Moore it wasn’t just week one of the NFL season that cost Manning his ‘clutch’ trait. Instead he was already teetering on the edge and the rough performance did him in. Even though he hasn’t been widely perceived as a ‘clutch’ player it’s still difficult to see how that one game could have made that difference given the framing of the qualifications and in context of the other players in the club. Those like Tracy Porter and Marshawn Lynch have been deemed ‘clutch’ for making a memorable play in a critical moment and probably don’t warrant receiving the trait otherwise. However what constitutes taking away the trait now unless they were to screw up in a big spot? What will Peyton Hillis have to do in order to lose his ‘clutch’ trait? In the case of Manning maybe it shows that as time passes from those moments that entered them into consideration the individuals will need to reestablish themselves by coming through in more pressure situations or simply by performing at an elite level. Some players are inherently at a disadvantage when it comes to ‘clutch’ because the teams they play on or the positions they play may not provide much opportunity to prove themselves in that regard. Calvin Johnson is a good example of that even though he continues to make big play after big play. It’s encouraging that the traits will be updated over the course of the season so maybe there will be adjustments made to their distribution and their determining factors. It’s certainly become a hot topic rivaling the always heavily-debated player ratings and at the very least generates quite a bit of discussion so EA will take full advantage of that by making updates throughout the season. When it comes to quarterbacks they are always going to be in the spotlight with whatever they do making it easier to justify whether ‘clutch’ or not. So what do you think…should Eli Manning have lost his ‘clutch’ trait or even had it in the first place? 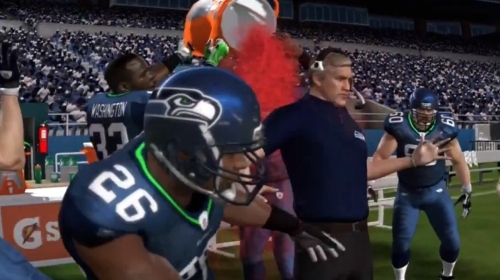 The Madden NFL 12 roster update to correspond with the start of the regular season is now available for the Xbox 360 and PS3. The update includes over 1300 moves and carries a great deal of significance given the number of players that have shifted around following teams setting their 53 man rosters. In this tips video Ratings Czar Donny Moore give you his list of under the radar running backs in Madden. In this tips video Ratings Czar Donny Moore give you his list of under the radar wide receivers in Madden. In this tips video Ratings Czar Donny Moore give you his list of under the radar QB’s in Madden. Following their match-up in Super Bowl XLV, the Green Bay Packers and Pittsburgh Steelers maintained their dominance over the NFL during the 2011 season according to the official Madden NFL 12 regular season simulation. With less than a week before NFL Kickoff week, EA SPORTS predicted the 2011 NFL regular season’s division winners, Wild Card winners, statistical league leaders and individual award winners. Behind Defensive Player of the Year Clay Matthews, the Packers remained the team to beat in the NFC. They improved on last year’s 10-6 record by finishing 13-3 in 2011. Not to be outdone, the reigning AFC Champion Pittsburgh Steelers had an equally dominant 13-win season under the direction of NFL Coach of the Year Mike Tomlin.